“The German exchange was a really eye opening experience and introduced me to a group of new people and their way of life in another country. We did loads of great activities including a trip to Cologne and Phantasia land. 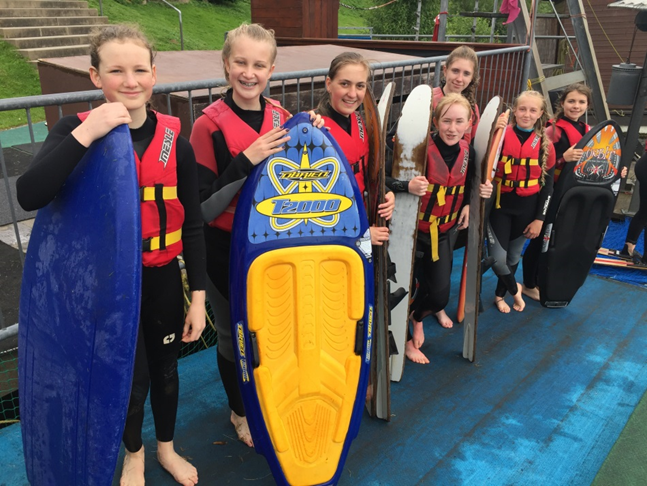 My favourite part was the water skiing , because I have never done it before.” Sophie Sleeman, Year 9. “I enjoyed the exchange, as it helped me to learn more German and helped me grow in confidence in speaking German. The highlight for me was water skiing and Phantasia land, because it was so different to England. Seeing new things in Germany really made me see that we are not all so different.” Josh Smith, Year 9. The German exchange involved : Phantasia Land theme park, water skiing in Wetzlar, visit to Frankfurt or Cologne, visit to chocolate museum with samples, mountain hut BBQ , cooking, sports, Music, Geography and English. If you would like to go on the next German Exchange please see Mrs Storry or Mr Green for a letter.